Top magazines and YouTubers the world over are celebrating Black Spirit 200! 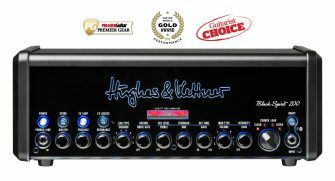 In the last few weeks alone, the amp has scooped a Premier Guitar Premier Gear award, a Guitar World Gold Award, and a Guitarist Choice prize! Read and watch all the reviews by clicking the links. And others! In fact, head over to our Black Spirit 200 playlist on YouTube to see the best of them!